Winter is coming. For many kayakers that means drysuit season. 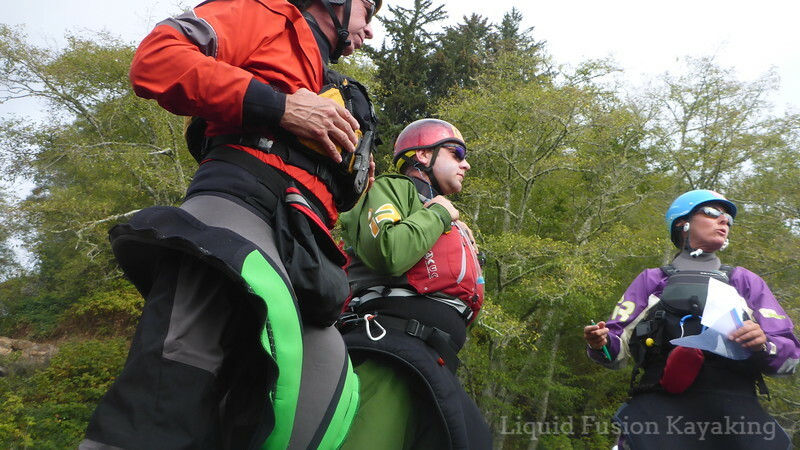 I have to admit that I am not a huge fan of drysuits but find them necessary for winter whitewater kayaking and multi-day sea kayak events in areas with cool water and air temperatures. Over the years, I have had drysuits from several different manufacturers. My current drysuit is the best so far - Immersion Research Shawty. Of course I love the awesome purple color. Technical and practical features of the Shawty drysuit that I like include a rear/shoulder entry, comfortable fit, and the material. Loving my Immersion Research Shawty Drysuit! I like the fabric of my Immersion Research (IR) drysuit. It is a bit stiffer than goretex but seems to be tougher and doesn't "wet-out" like a gore-tex suit does over time. I often hear the comment, "But it isn't gore-tex." I have had gore-tex drysuits and dry tops and don't find them to be as durable or comfortable. My biggest issue is that the gore-tex fabric wets out after the dwr (durable water repellent) wears off (read the link for more on dwr and environmental related concerns). When the dwr wears off, the suit feels damp. Also, the hype over the breathability of gore-tex doesn't make sense to me. I sweat when I am paddling. The main areas where I sweat are my core and feet. Life jackets and sprayskirts pretty much negate the wicking of any drysuit in the core area. Latex booties provide slim, seamless comfort in paddling shoes. Did you know that you can get latex booties put in your drysuit? I was skeptical when I first heard but now I am a convert. Regardless of the material, fabric drysuit socks are bulky. They bunch up in your paddling shoes, and often you have to buy a larger pair of shoes for the socks to fit. Latex socks are a lot slimmer and are seamless. I find them to be much more comfortable. They definitely fit in my paddling shoes better. I usually wear a pair of wool socks under them and then a neoprene booty over them for warmth and protection. There is usually an added charge to have latex socks put in. Both Immersion Research and Kokatat will do it. I am happy to see drysuit companies offering a variety of entry systems. I am a fan of the rear entry with the shoulder zipper. I never found the large metal chest zippers of front entry drysuits to be comfortable. Relief zippers are improving as well, and it is nice that women have the options of front zip or drop seat relief zippers. I am a fan of the drop seat. Currently Kokatat and NRS are making women's drysuits with drop seats. It is rumored that IR is going to have that option available again soon. If you are shopping for a new drysuit, I encourage you to try some out before buying. Figure out what type of entry and relief system works for you. Don't just buy what you see everyone else wearing. Drysuits are like shoes - one size doesn't fit all and all brands have their advantages and disadvantages. A good way to try a drysuit out is to rent one. 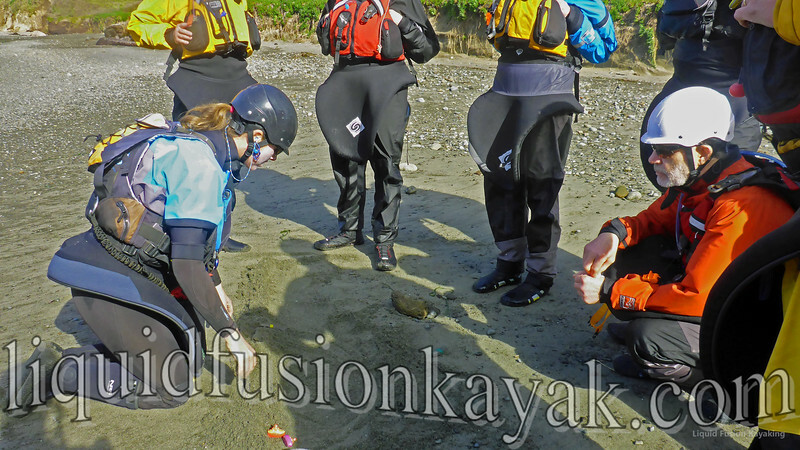 Immersion Research has a drysuit rental program. 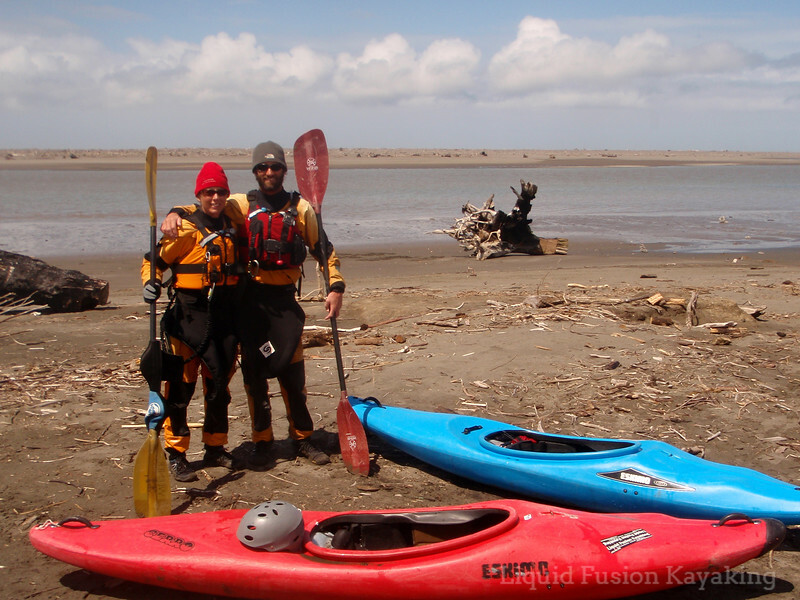 Kokatat drysuits can be rented from Pacific River Supply or Kayak Academy. Drysuit maintenance and repair - this is a topic for another time, but the good thing to know is that both Kokatat and Immersion Research offer drysuit leak testing and repair. Both companies also can do alterations to make suits that fit better. 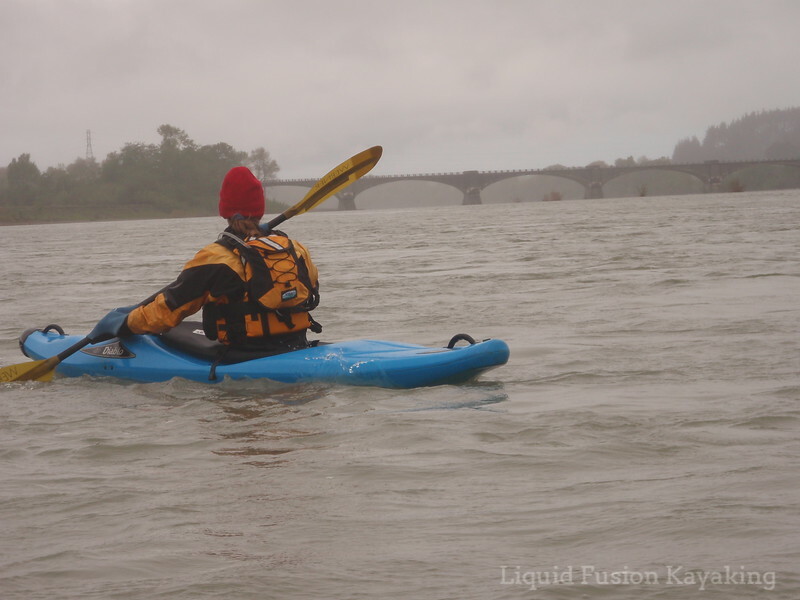 It is good to have options and great to have a drysuit when you are paddling in cool/cold weather. Of course the best way to enjoy surfing and improve is to go surfing. However, there are times when you can't get out and surf due to work, family commitments, an injury, or crappy weather/surf conditions. Getting better at surfing takes surfing, but you can also build your skills and keep your surf stoke going at home. Big wave riding intrigues, amazes, and terrifies me. I marvel over the speed of the water rushing up the face of the wave. I can't even fathom the speed of the surfer screaming down the face and the ton of water that could crash on them at any moment. Watching big wave surfing also builds my respect for the ocean and what she can dish out. My favorite videos to watch are those of people dancing on the face of a wave. I enjoy the pure aesthetic of it but also value the technical skills. At home, you too can learn more about surf technique by watching videos. 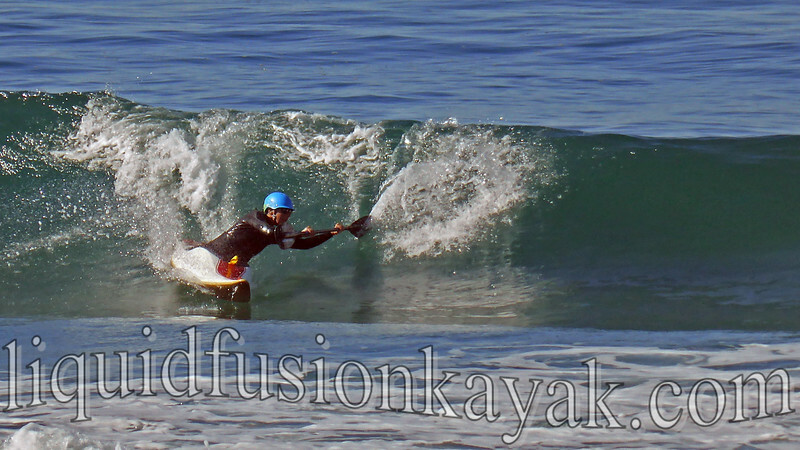 Look at videos of a variety - long board, short board, body board, SUP, kayak, and body surfing. Watch for the shape of the wave and how the rider works with the shape of the wave. Watch their positioning, take-off angle, when they initiate bottom turns and top turns and when they run down the line. Watch for where the rider is on the wave - at the bottom, middle, or top. Look at their vision (where they are looking). 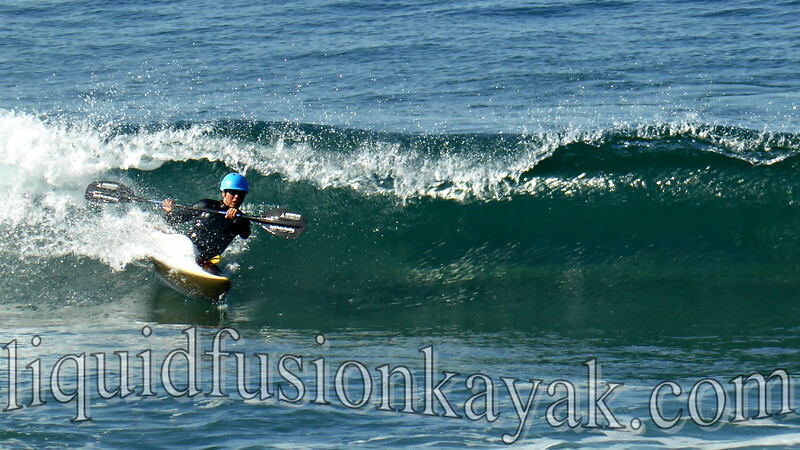 If SUP or surf kayak, look at how they use the paddle to balance, maintain speed, and change direction. Envision yourself surfing that wave. Feel the drop, use your hips and torso to change direction, weight and un-weight your rails, climb and drop, cut back, and run down the line . . . and most of all smile and relax. Feel yourself in that happy place - on a wave. Get Fit - Surfing is more fun when you are fit. There are lots of surf fitness programs out there. Most will have you improving your flexibility, mobility, and core strength. Fitness helps decrease injuries and a good flexibility program will keep you limber. 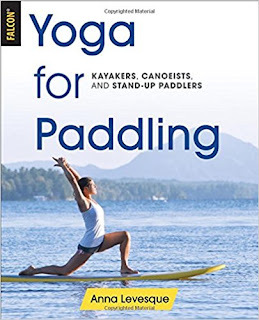 I have a flexibility and mobility training routine that I do that is adapted from Surf Training Success and Anna Levesque's Yoga for Paddling. It is not some thing that I enjoy doing but it feels good when I am finished and definitely is helping with my surfing fitness. Get Out and Paddle - Even if it is flat water, get out and paddle. Paddling with purpose can help you build your paddling fitness and skills. Last week, I hopped on my body board for the first time in months. Despite regular running, mountain biking, and kayaking, I felt totally out of shape. 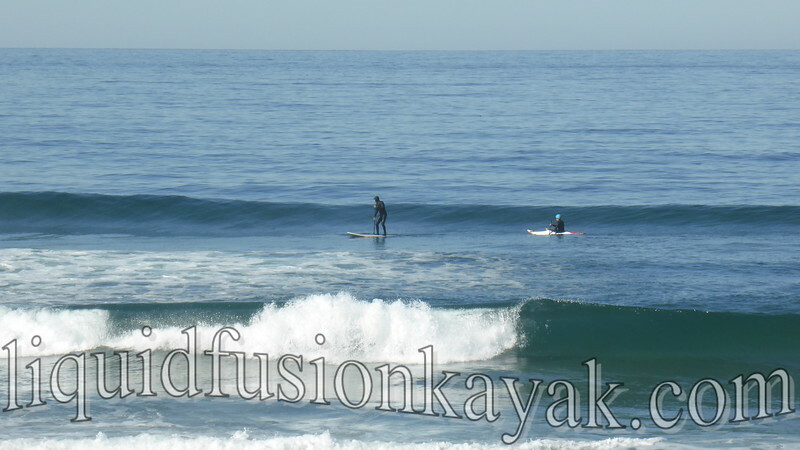 My legs felt like they were on fire, my shoulders felt like jello, and I was winded on the paddle out. I don't feel this way in my surf kayak because I am regularly training in it and regularly kayaking. 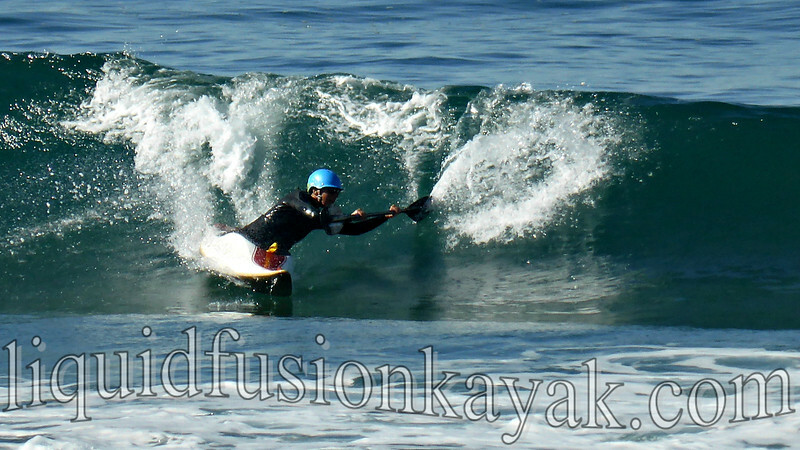 For surf kayaking fitness, I find that sprints are a good way to get fit for surfing. Use sprints to simulate situations when you need bursts of speed - like taking off or paddling out. Also consider incorporating rolling into your sprints. 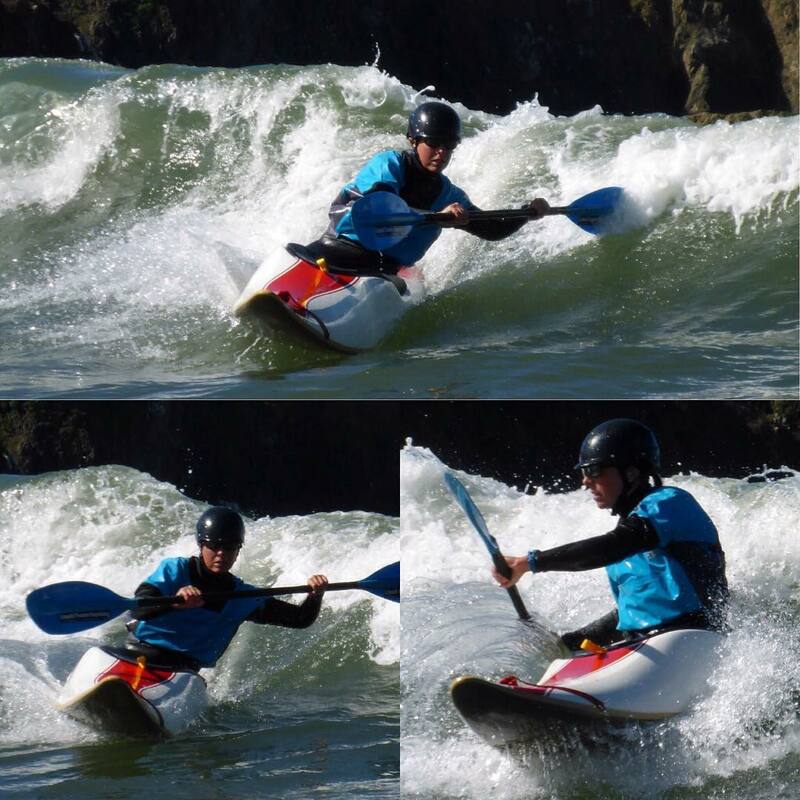 For skills, fine tune your technique on flat water. I often wish that my students had perfected their edge control, stern rudders, and backward paddling before coming for surf lessons. Video yourself and look at your technique with a critical eye. Dream About Surfing - Surfing is dancing with the sea. The ocean can be a fickle dance partner - wild and rowdy one day and gently waltzing the next. Perfect waves are elusive; however, there is one place that I can always find a perfect wave - in my mind. Of course the perfect surf wave is accompanied by sunshine. Visualization is a powerful tool for improving your performance in surfing and can also be helpful in many other aspects of life. Use your surfing experiences and visuals from photos and videos to create that perfect wave in your mind and envision yourself surfing it. Then take it the next step and feel yourself surfing. Relax and feel yourself surfing the wave - making the drop, climbing and dropping as you carve down the line. I use this exercise as a time-out from the world - waiting in line at the grocery store, sitting in the chair at the dentist, lying in bed at night. 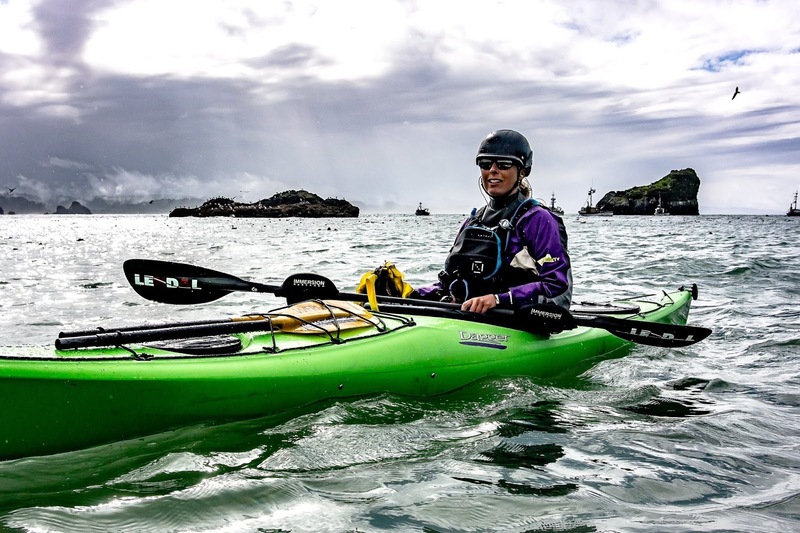 Liquid Fusion Kayaking's Cate Hawthorne kayak surfing her home waters on the Mendocino Coast. When you see me with that far-away look, you know I am in my happy place - on a wave. Now - get out there and surf! "How do I get better at surfing?" is a regular question that we get. To get better at surfing you need to learn how to surf - then surf, surf, and surf some more. Cate enjoying a birthday surfari on the Oregon Coast. Taking a class or lesson in the beginning will accelerate your surfing progression regardless of the craft (surfboard, SUP, surf kayak, whitewater kayak, waveski, or sea kayak). Shop around and find the right coach to make the most of your time and to accelerate your learning.The best instructors are not necessarily those that "rip" the hardest or surf the biggest waves but are those that thoroughly understand the surf zone, surf culture, the fundamental skills, and are effective at teaching all of the above. 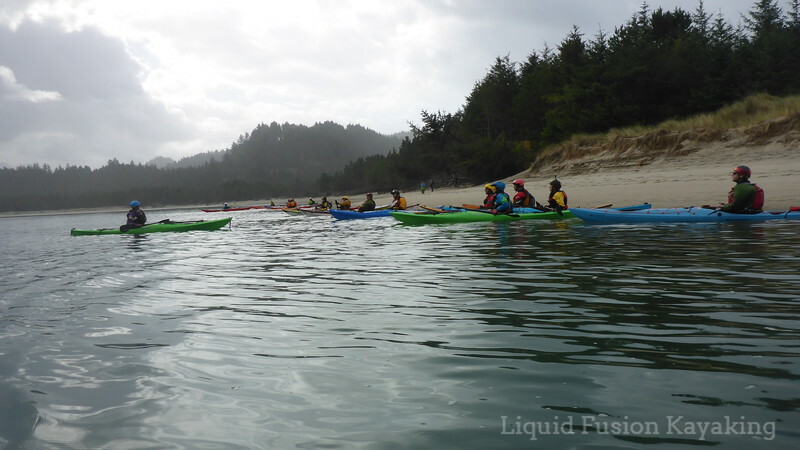 Kayak Instructor Ben Lawry teaming up with Liquid Fusion Kayaking for a surf kayak class on the Mendocino Coast. After taking a surf class or lesson, ask your instructor for "homework." Or take a few notes on the skills from your lesson and make your own surf homework. Maybe it is working on pop-up's in your living room or working on ruddering strokes in flat water. Of course part of the surfing homework is getting out and surfing. Running down the line looking for the cover-up. Find an appropriate break for your skill level. Beginning surfers often do best surfing the same break frequently. Look for small, spilling waves at an uncrowded surf zone that does not have a lot of current. 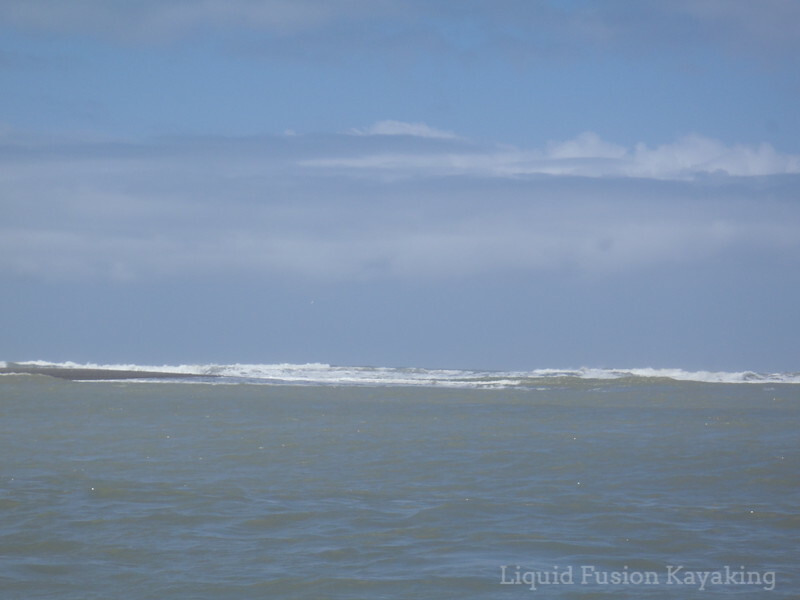 (Longshore currents, rip currents, and river/estuary mouths can be challenging and dangerous). Check out this link for diagrams and explanations on longshore drift and rip currents. Even small estuaries and creeks can cause tricky currents in the surf. When you first arrive at the beach, watch the surf and other surfers. When scouting the surf, I watch the surf for at least 5 minutes and often will watch for 15-20 minutes before going out. Notice the shape, size, and consistency of the waves. Identify rip currents and potential hazards and safe zones. Look at where other surfers are lining up, paddling out, and taking off. Decide where you want to surf and determine reference points. Mind surf some of the waves and visualize your ride. If you don't see your ride, reassess. If the waves are not surfable, come up with a plan of skills to work on or move to another beach. If it is dangerous, don't go out. Scouting a friendly surf zone from the beach. If you are going to be surfing with other surfers and around other beach users, be sure to be courteous and follow good surf etiquette. For more on surf etiquette, check out Surfline's Bill of Lefts and Rights. Sharing the waves and the surf stoke with others. Now, get that lesson and get out there. 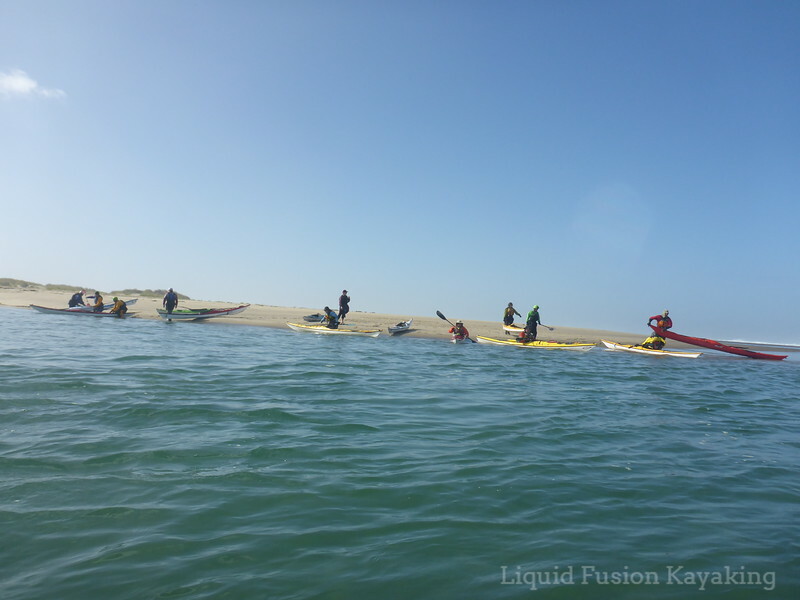 If you want to learn or brush up on the basics of kayak surfing, join Jeff and I at Liquid Fusion Kayaking for a surf kayaking class or a private surf lesson. 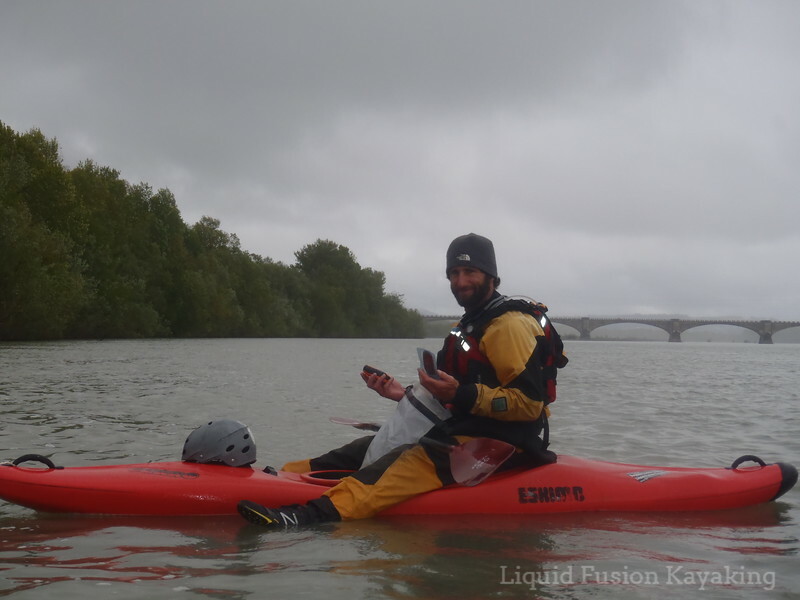 LFK's next surf kayaking class is October 28-29, 2017. Liquid Fusion Kayaking's Cate Hawthorne using a sand diagram to demonstrate surf etiquette. 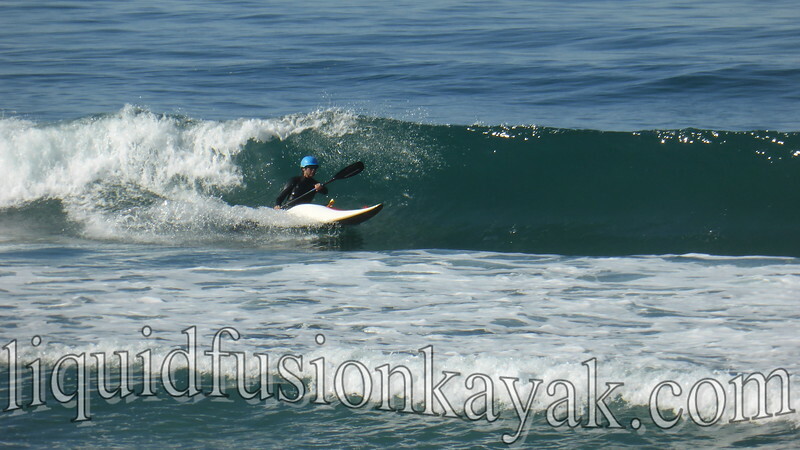 For more surf kayak skills, check out my blog on Surf Kayak Resources. Please let me know if you find any good sites for me to add to the list. Also stay turned for my next blog post on getting better at surfing when you cant' get out and surf. Learn the basics and then surf, surf, and surf some more!!! Lumpy Waters 2017 was great fun!!! As I write this post, I can't believe that this was my 7th year coaching at Lumpy. Time flies when you are having fun! Preparing the team for rock garden safety and rescues. 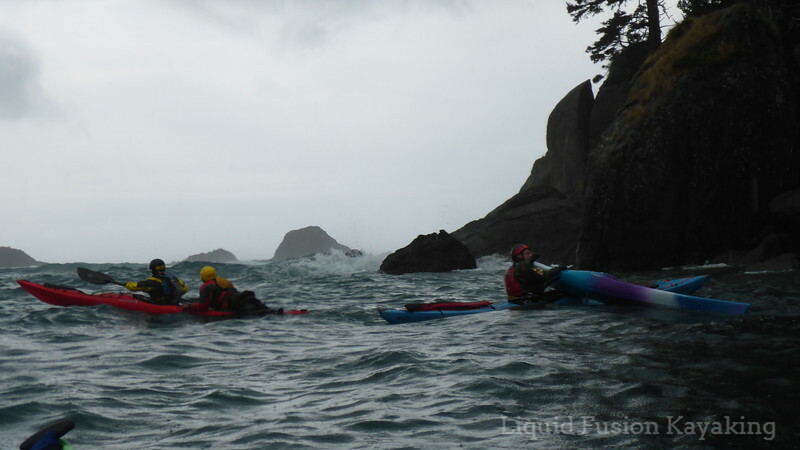 Lumpy Waters is a 3 day sea kayak symposium held annually on the Oregon Coast. 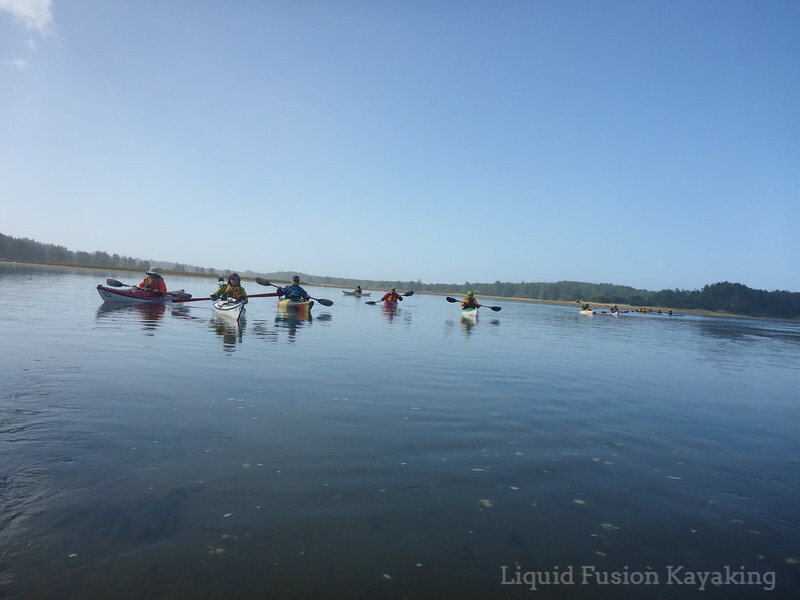 It is hosted by Alder Creek Kayak and Canoe. If you haven't been to Lumpy, definitely mark your calendar for October 12-14, 2018 and get there! Why do I say that Lumpy is a don't miss event? FUN - FUN - FUN. Of course sea kayaking is supposed to be fun. Lumpy Waters takes it to the next level of fun both on and off the water. Each day starts with a chant and students sharing fun moments from the day before. Classes are designed to be fun and instructional. Instructors are encouraged to incorporate games, play, and even out-right silliness into their classes. Lots of laughing and learning occurs. Rock Garden Safety and Rescue class at Cascade Head. 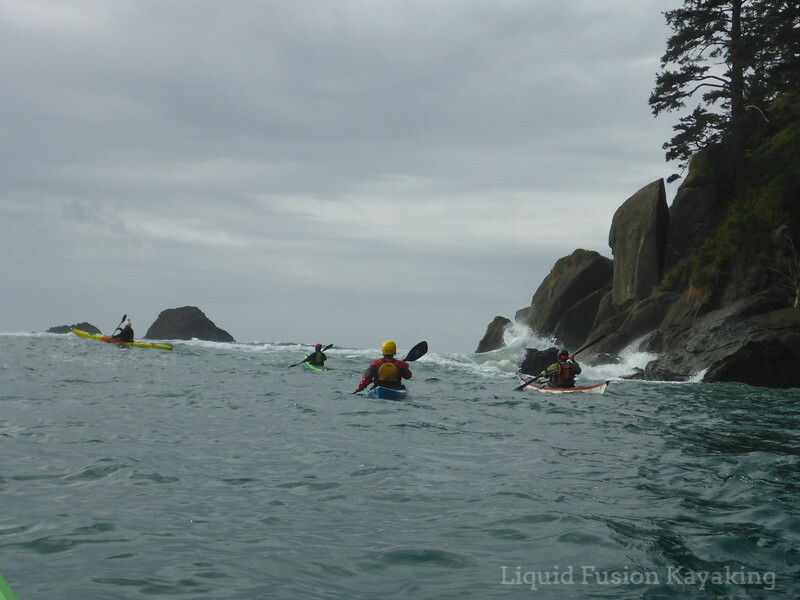 After a day of paddling, everyone reconvenes at the Lumpy Headquarters at Cape Kiwanda RV Park. Most participants and coaches stay on-site in cabins, rv's, tents, or nearby houses which are within walking distance of the event. Evening activities begin with Happy Hour followed by dinner, short programs, and hanging out around the fire pit - which is conveniently located next to the Ninkasi beer tent. At the end of the evening, we walk home (or possibly to the pub - the Pelican Brewery is right across the street). Rest up and do it all again the next day! 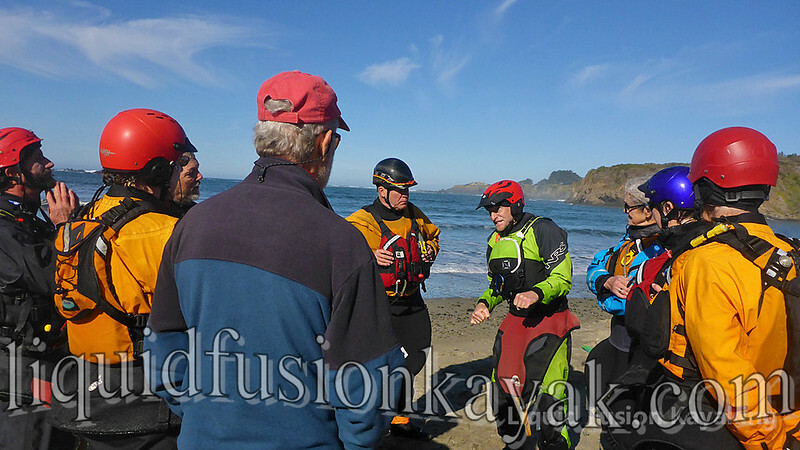 Liquid Fusion Kayaking's Jeff and Cate team-teaching rock garden safety and rescue at Cascade Head. I keep coming back to Lumpy because I enjoy the camaraderie of the Northwest Paddling Community and I enjoy working with Team Alder Creek. I look forward to reconnecting with students, coaches, and industry reps each year. And each year the tribe grows. Around the fire pit, we share stories of our personal and professional adventures. Lots of laughter ensues. In addition to catching up with friends and making new friends, coaching was a lot of fun. I got to teach my favorite subjects in the environments that I love the most. Friday teaching in the surf zone, Saturday teaming with Jeff to teach rock garden safety and rescue and Sunday teaching a new class - Wet n Wildlife. Day 3 Wet n Wildlife Tour on the glassy waters of Sand Lake. For the Wet n Wildlife session, we went to Sand Lake. 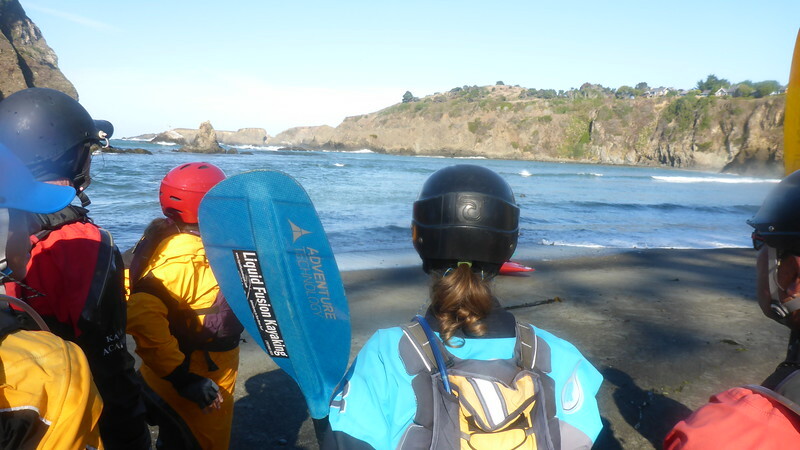 It is a really cool estuary where we got to do a little bit of everything - reading the water, surfzone review, planning, tides and currents, wildlife watching, and identifying trees and plants. Landing on the sandspit at Sand Lake for a little surf zone training. The class was quite varied and I think that everyone enjoyed it for many different reasons. A huge shout-out to the students for being open to the randomness of the class and my awesome assistants Kate Govaars and Kathy Mitchell for their coaching skills!!! Checking out Great Egrets and Great Blue Herons on Sand Lake. 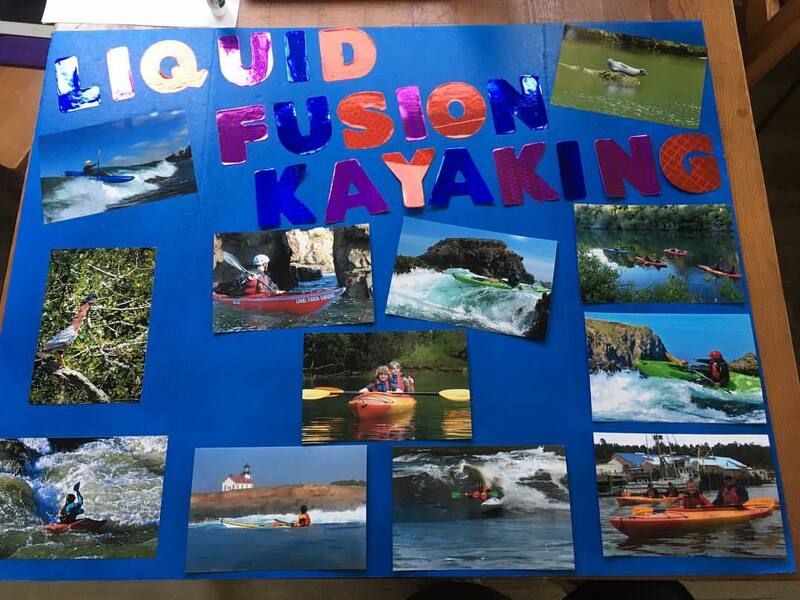 A huge thanks to the Team at Alder Creek Canoe and Kayak for putting on this fun event - especially Paul Kuthe, Suzi Elle, and Dave Slover. 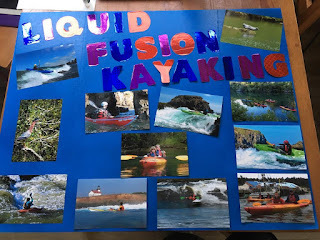 Also a huge thanks to event sponsors - Immersion Research, Maui Jim, Thule, NRS, Kokatat, Jackson Kayak, Sterling Kayak, Current Design, Sweet Protection, Astral, Werner, Ninkasi, Paddlesports North America, and the American Canoe Association. Warm and dry on the Oregon Coast in my Immersion Research Shawty Drysuit. I have marked my calendar for Lumpy Waters October 12-14, 2018. Have you? Expect to see this guy coaching at Lumpy next year! As summer starts to wind down, I start to get excited about kayak camping trips. Our favorite "get-away" is to load up our kayaks and go on a wilderness kayak camping trip. 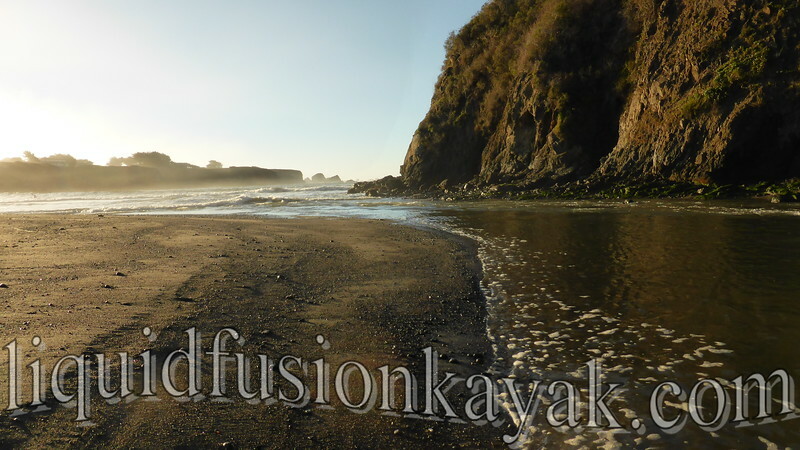 Usually we do a whitewater river trip of a week or so but also we will jaunt off in our sea kayaks to various locations on the coast. 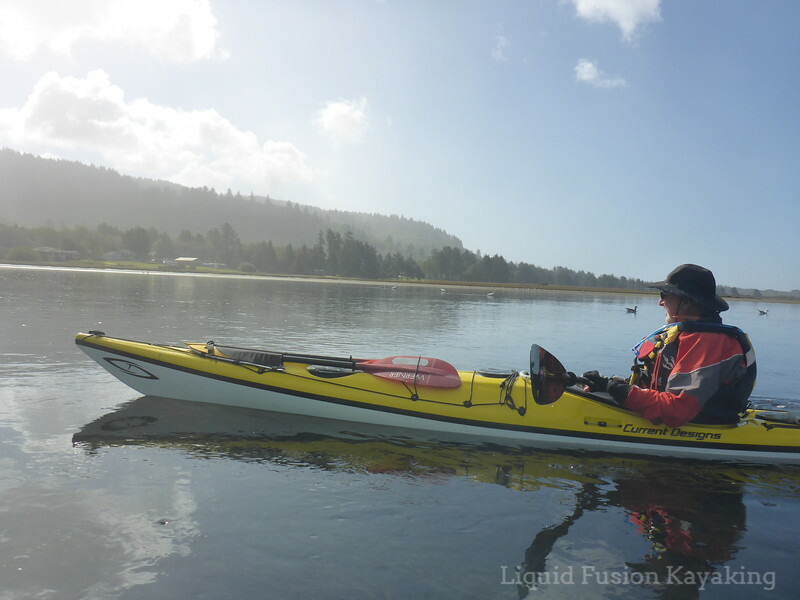 Coming up later this month, we are guiding a sea kayak trip on California's Lost Coast. 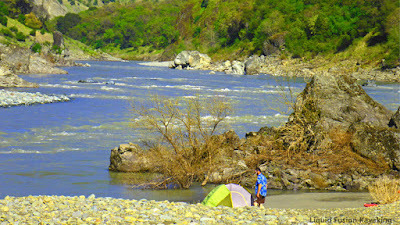 Kayak camping on the Owhyee River. Food preparation for self-support kayak trips can be a daunting task. I enjoy the challenge and get better with each trip that we do. Most of our meals are one pot meals a protein, starch, and lots of vegetables. One pot meals make for easy prep and minimal cleanup. Many paddlers buy pre-packaged dehydrated meals. This is a convenient way to plan, pack, and prepare meals in the backcountry. I usually keep a few pre-packaged meals around for emergency supplies and for extra food on our trips because they are lightweight, don't take up much space, are easily prepared, and have a long shelf life. The disadvantages of prepackaged meals are that they are usually high in sodium and are expensive. For these reasons, I prefer to create my own meals. To minimize dishes, we often eat right out of the pot. It was a good meal when the pot looks like this. There are a lot of good resources and recipes on the internet for backpacking food. One of my favorites is BackpackingChef.com. This site is helpful because it has directions for dehydrating your own food and serving sizes for dehydrated food. He also has some good recipe ideas. My new favorite site for backpacking recipes is Dirty Gourmet.com. A nice resource that they have compiled is backpacking foods that you can find at the local market. It is less expensive than the prepackaged backpack specific meals. It gives you ideas so you can shop for Non- GMO, gluten free, organic or other dietary options. I also like the Dirty Gourmet's recipes. When Jeff and I did 10 days on the John Day River this spring, I made a variation of their Thai Coconut Soup. Jeff is allergic to soy so I used freeze dried chicken instead of soy. It was delicious!!! Preparing Thai Coconut Soup on a kayak camping trip. When planning food for a trip, planning your menu is key regardless of whether you buy or make your own meals. I usually scratch out all my menu ideas on paper then mix and match what foods would be best on what day. If I am packing fresh produce, I plan my meals that need produce at the beginning of the trip. Planning the menu also helps you with shopping for ingredients and preparing and packaging the meals. Fresh vegetables are a luxury for us on kayak camping trips. For food preparation at home, I definitely use my dehydrator. This time of the year, our summer garden is bountiful. What we aren't going to eat, share, or trade, I will dehydrate for our future camping trips. Right now, I am dehydrating zucchini chips for dipping in hummus, ceviche, crab dip, or tuna salad. (Down Home Foods in Fort Bragg carries Fantastic Foods Dehydrated Hummus. It is tasty and easy to pack and prepare). Dehydrating zucchini from our garden into zucchini chips. Kale, broccoli, carrots, onions, roma and cherry tomatoes, apples, pears, huckleberries, and king boletes (porchini mushrooms) are seasonal items in my dehydrator. Dehydrated vegetables are easily added to soups, mac and cheese, instant potatoes, instant rice, or pasta during the cooking process. I dehydrate my own spaghetti sauce (homemade or store bought). One of my favorite wilderness meals is dehydrated spaghetti squash with spaghetti sauce and a protein (chicken, beef, or fish). Buying tuna, salmon, or chicken in packets is an easy way to add protein to a meal. I also use freeze dried chicken or catch fish depending upon where we are camping. For eggs, we have found Ova Easy Eggs to be the best. 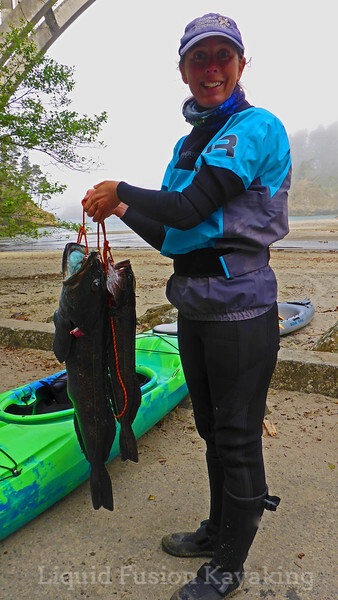 Using a handline to fish for rock cod on the Mendocino Coast. Spices and seasonings are essential if you are preparing meals from scratch and want them to taste good. We carry our favorite spices in our camp kitchen kit and small packets of chicken bullion. Of course, it is important to plan and pack special treats and snacks - maybe some fresh fruit or vegetables but definitely chocolate. Huppybars are a staple in my snack bag. Hot chocolate also is a necessity on chilly nights. These are but a few of my backcountry food ideas. If you enjoyed reading about them, I will share more including some of my favorite recipes. Please share in the comments if you have other good resources or recipes. Kayak camping on California's Lost Coast. I debated whether to call this post Summer of Love or Labor of Love. 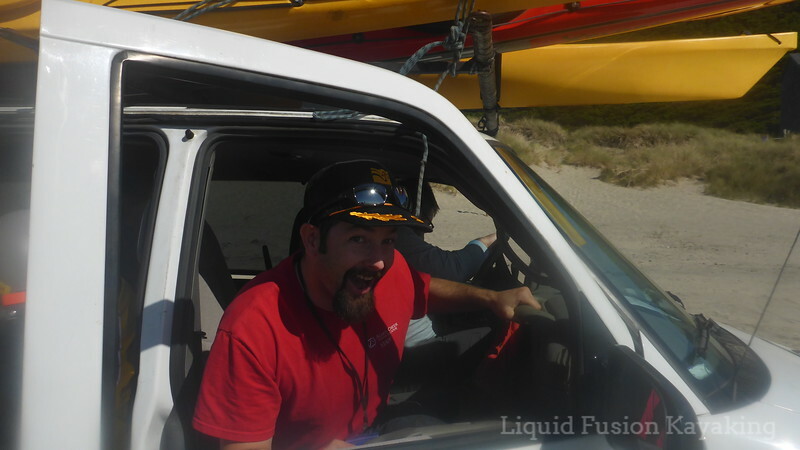 Running a kayaking business is a bit of both. This summer seems to be flying by. Running a kayak business isn't all fun and games. There is a lot of "invisible work" that goes into running the business. 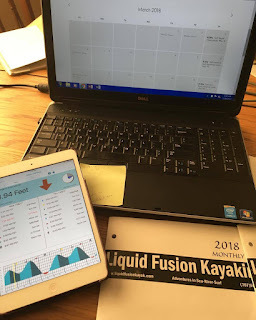 Countless hours are spent on the phone, replying to emails, writing newsletters, scheduling, managing photos, posting on social media, planning trips, cleaning and maintaining gear, bookkeeping, managing the website, banking, and the list goes on. In our 10th season I am learning to take it in stride and finding humor and enjoyment in it. One question I got this summer was about our return policy - I could have verbatim rattled off LFK's cancellation/no show policy. Instead, I responded "Our goal is to bring'em back alive." Poster that I created for the Mendocino Coast Chamber of Commerce. This summer, I am spending a lot of time guiding our wildlife and nature history tours on the Noyo River Estuary. I love it! Each trip is different. 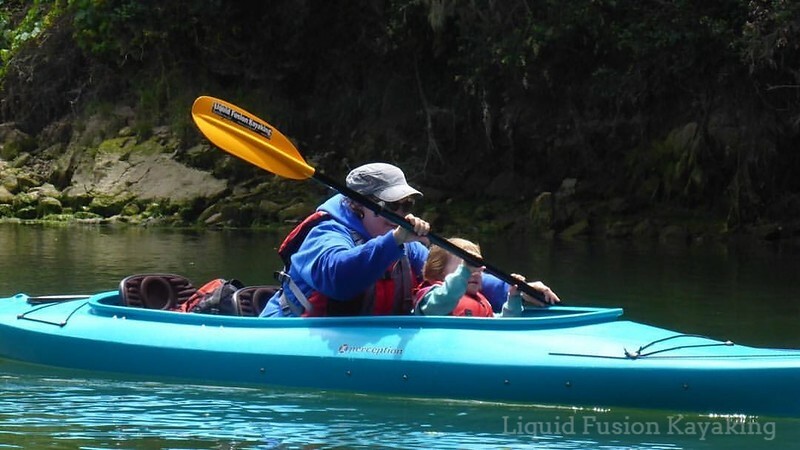 Our trips often include first time kayakers that don't know how to swim, families with kids of all ages, as well as seasoned paddlers. I like to challenge myself to improve my teaching and guiding methods to meet the individual needs and interests of all participants on the trip. I really enjoy incorporating my knowledge of the natural world into the kayaking experience - aka "nerding" out on nature. 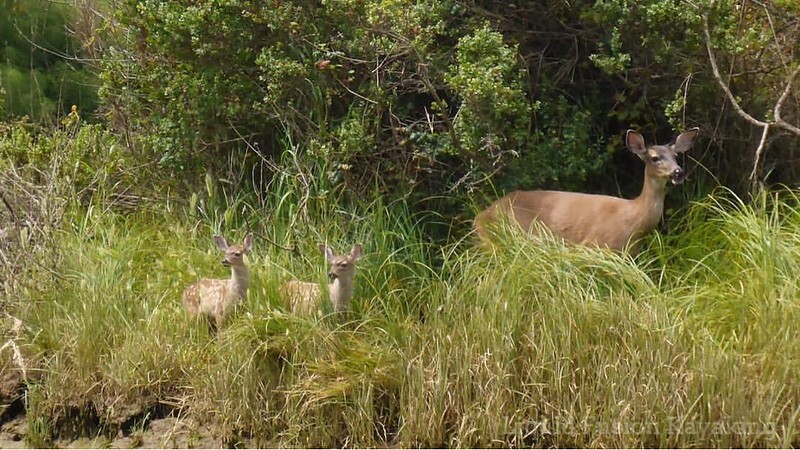 Doe and fawns checking out the kayakers on the Noyo River. With the maturity of our business, I am continuing to learn how to create time to enjoy life within the busy summer season - and making Jeff do it too. At the end of the day, we are dog tired. We often go to bed early but with smiles on our faces. Jeff and I enjoying dinner that we caught and grew. Carving time out for life means regular mountain bike rides, trail running, kayak surfing, kayak fishing, time with friends and sometimes quiet time with a book. 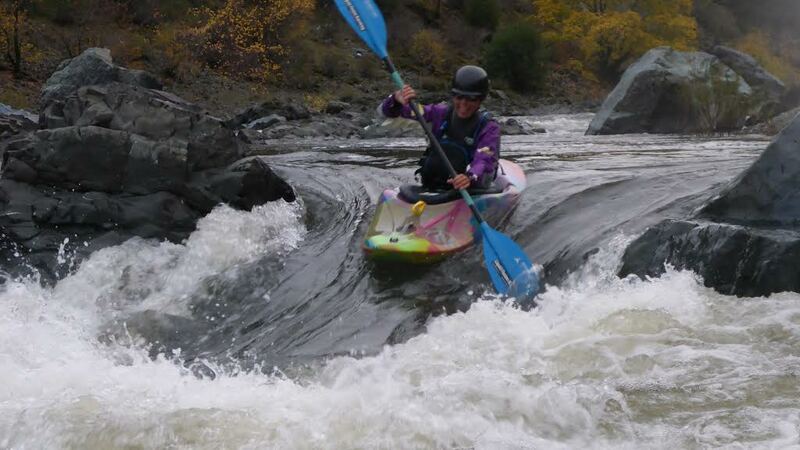 Last week, we managed to slip away to the South Fork American to connect with some friends and run whitewater. Our summer garden is producing. It is so nice to come home and pick fresh vegetables for dinner. Our winter crop of kale continues to produce, and we have been eating it as well as fresh broccoli, zucchini, and lettuce. The cabbage is starting to make nice heads and the tomatoes and cucumbers are coming along. Last week, I was wishing I had some fresh potatoes to go with the rock cod that we just caught. I was doing some digging in the garden and unexpectedly found a fresh batch of red potatoes. Fresh kale and potatoes from our garden and fish that we caught in the ocean. YUM! Food of our labor - fish we caught and vegetables from the garden. All is not perfect of course. The house is a bit of a mess. Oh, well - its summer time! 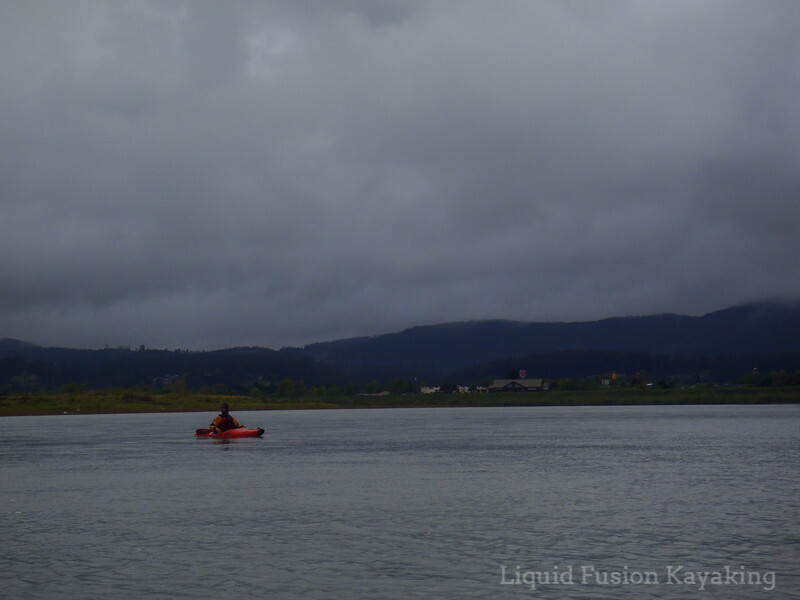 We awoke on day 8 ready to complete our mission of kayaking 169 miles of the Eel River from the mountains to the sea. 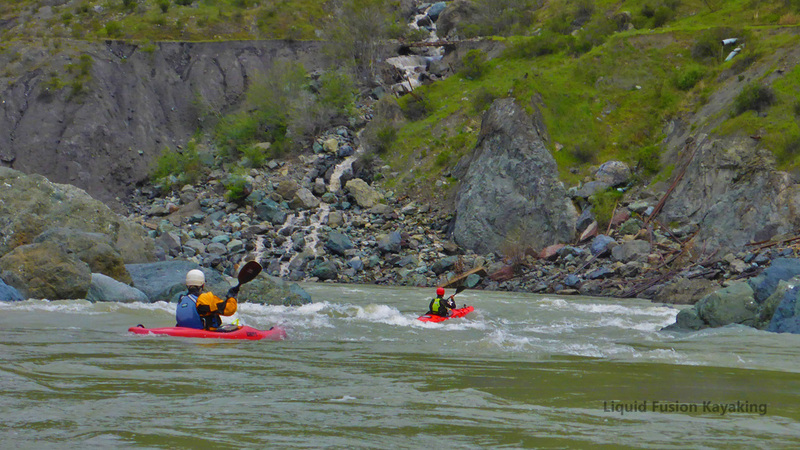 The early days were fun with lots of whitewater and wilderness. The past couple of days were scenic but primarily flat water with glimpses of the 101 highway and sights and sounds of civilization. 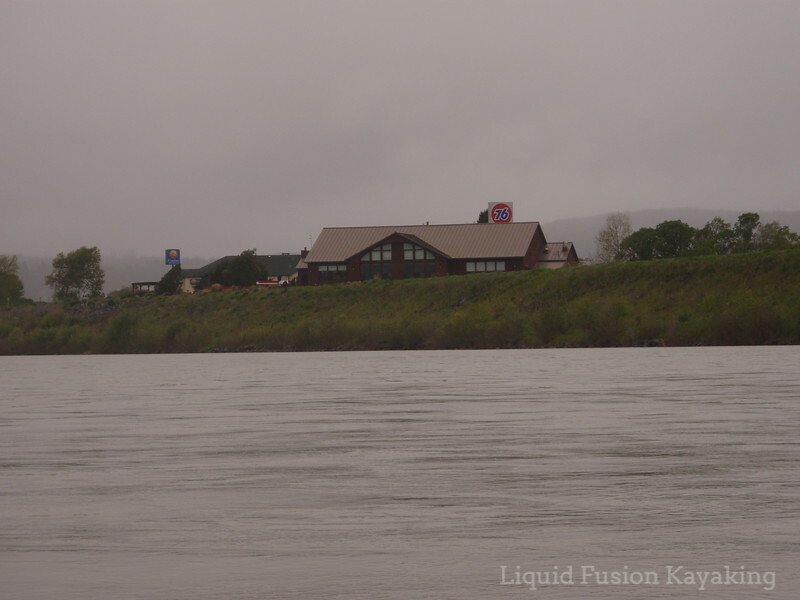 River view of the gas stations and conference center at Riverwalk in Fortuna, CA. The Eel River Brewery is one of our favorite stops on all of our travels along the 101 corridor in Humboldt County. We thought it would be fun to hop out of our kayaks and pop in for a beer on the last day of our trip. We have been enjoying the fast moving current but it rushed us along too early for beer at Eel River. The river is quite flat now and meanders through the farmlands of Fortuna and Ferndale. Checking out the historic Fernbridge at Ferndale, California. When we hit the historic Fernbridge, Jeff dug out his cell phone and makes our extraction call. Our friend Hawk Martin (owner of Humboats at the time) was going to pick us up at the beach. After passing Fernbridge, we anticipate landing within the next 1.5 hours. Jeff makes the extraction call. 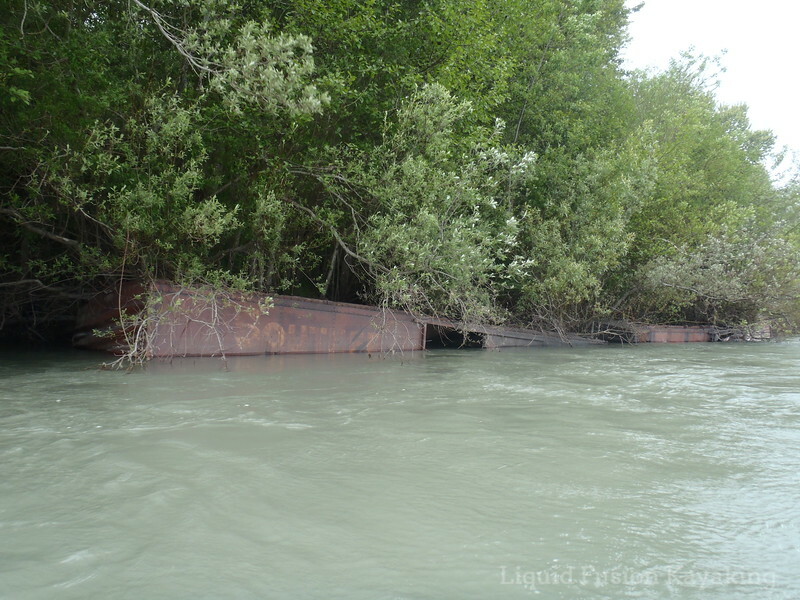 We were surprised to still be seeing signs of the dilapidated Eel River Railroad. We knew we were getting close to the ocean when we started seeing barnacles on the logs and harbor seals swimming. As we got closer to the ocean, we could see the surfzone and waves breaking. We also discovered that we were being swept out to sea very quickly. We were too far in the middle of the river to get to shore before hitting the ocean and surf. Oh well, we got to end our trip surfing a wave back onto the beach. Our Eel River mountains to the sea journey was special in many ways. It was my first multi day kayak camping trip. It was a special time for Jeff and I - just the 2 of us for 8 days in the wilderness. This trip was one of the best weeks of my life - whitewater kayaking in the wilderness with my sweetie. 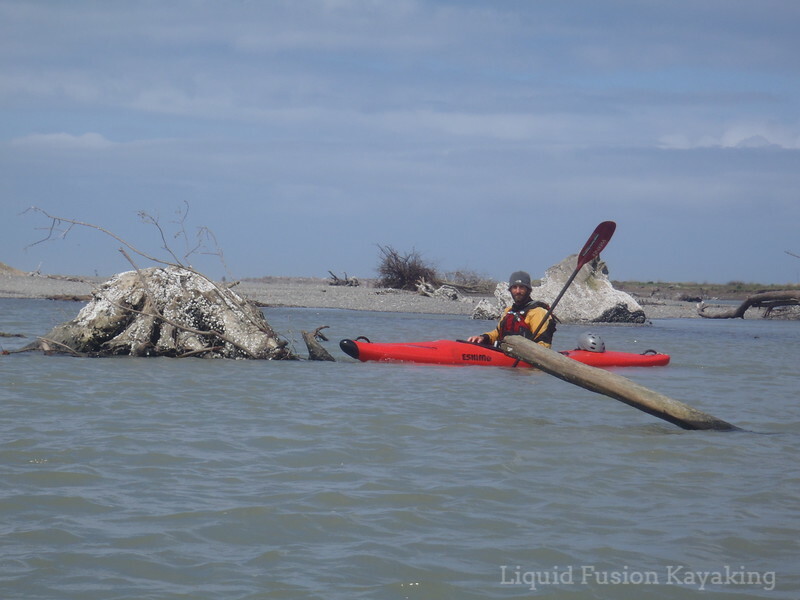 Since this trip, we have done numerous overnight kayak trips on the Pacific Ocean and on different rivers. Self support kayak river trips continue to be my favorite. I am already looking forward to the next one. Mission Accomplished! 169 miles on the Eel River from the mountains to the sea. We are still smiling.